Stepping Out of the Comfort Zone…Guatemala Bound!! If you’ve been following me on Facebook or Twitter over the last month, you will have noticed many posts have been about an upcoming trip. 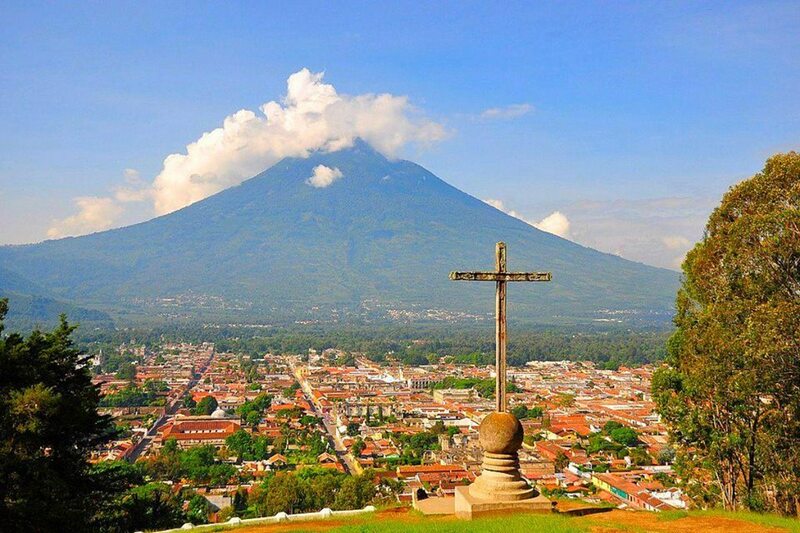 I am honoured to be co-leading a trip of students to Antigua, Guatemala from March 6-14, 2014 as part of the Love Moves Compassion Trip, through Connexus Community Church. Our group of 14 students and 5 leaders are going to serve and love the people of Guatemala. One theme has continued to surface throughout our preparations – stepping out of our comfort zones. Stepping out of our comfort zones is like stepping out of an invisible barrier of comfort where we feel safe and secure. We all experience safety and security in our homes, with our families, within our churches and community. To be stretched and trust that God has called us to serve in a foreign country, away from the comfort of our 1st world homes, is definitely stepping out of our comfort zones. – We’ll be serving in a hospital for children with special needs. The students will be hanging out, chatting and just loving the children. This is a huge step outside of their comfort zones! – We won’t be staying at a 5 star resort. We’ll be sharing rooms…and no pool! – In the evenings, the students will be asked to share their faith stories. This may be the first time for some, and it can be scary to be so vulnerable and open with peers. They will need to trust the Holy Spirit to guide them. So, why is it important to step out of our comfort zones? As it says in the above quote, each of us has so much potential inside of us, that if we are not stretched beyond our comforts, we’ll never know how much we are capable of, or how many gifts and talents we actually have. The only way to grow into our true selves, and to who God intended us to be, is to try something new. This trip to Guatemala will be an act of stepping out of our comfort zones for the students, leaders and parents. It will be an act of trusting God, that all things are possible, that He is bigger than anything we experience and that through Him transformation and life long change can happen. When we step off the plane in Guatemala, we will turn our hearts to God and thank him for this opportunity, and for calling us to serve. How have you stepped out of your comfort zone lately? I’d love to hear! Note: All thoughts/opinions/experiences are my own and is not a reflection of or on behalf of Connexus Community Church or the Guatemala team.